The first production Mastenbroek CT/12 gravel cart of the year was collected by its new owner Pearl Land drainage at the weekend. This machine is to work with the Mastenbroek drainage trencher they purchased last year. The CT/12 machine was supplied with an optional front gravel hopper as well as the front swing conveyor discharge system. 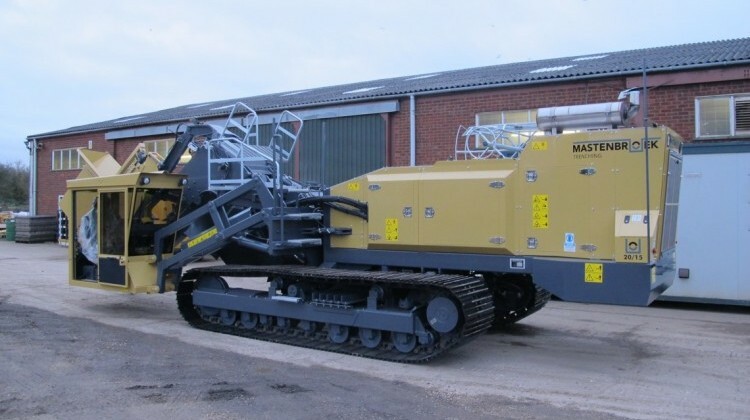 A Mastenbroek 30/20 drainage trencher, was loaded today to be delivered to Braders land drainage in North Lincolnshire. Prior to delivery the 335hp, 21 tonne machine was on display at the Lamma show. The trencher will be commissioned with some pictures of it installing land drainage to follow. A well-attended LDCA land drainage course was held at the Mastenbroek factory at the beginning of February. Organised not only for LDCA members but also for those with an interest in land drainage such as ground staff, greenkeepers and local authorities. 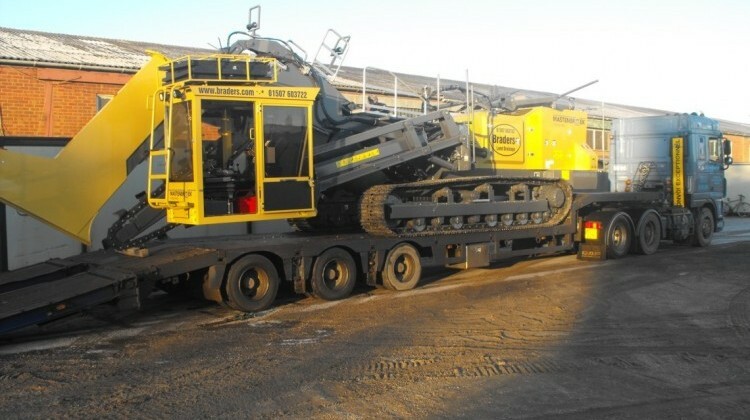 Our first machine of the new year a Mastenbroek 20/15 drainage trencher was loaded today to go out to a new customer in Eastern Europe along with a GT8 Gravel trailer. More pictures of the machines at work will follow in the coming weeks. DMJ Land drainage have taken delivery of their new Mastenbroek CT12 Gravel cart. 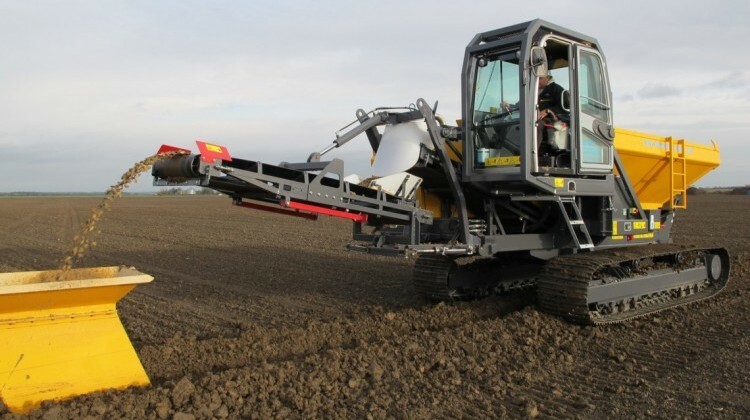 This 220hp, main function joystick controlled machine with tipping hopper is the third new machine along with two Mastenbroek 30/20 drainage trenchers DMJ have purchased in 2014. 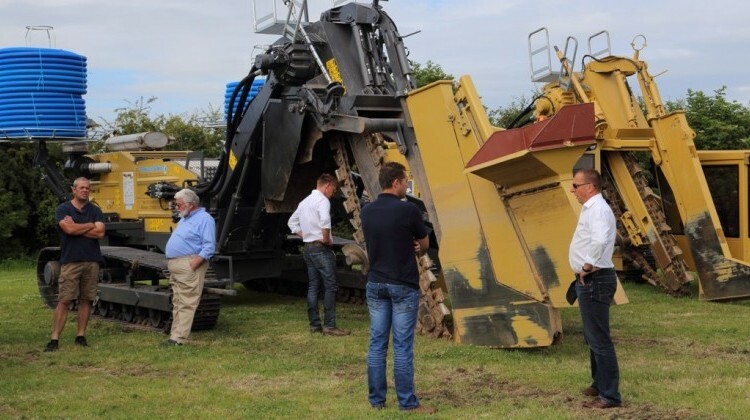 On a warm summers day in July we opened our doors to a very well attended open day for customers and suppliers old and new from around the world.